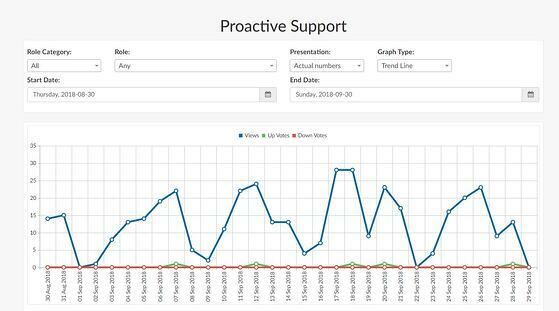 The Proactive and Knowledge Base Support Reports have a new look! These reports used to only be a listing of the help items, but now they contain user role, date, and presentation filters and graphs showing views and votes over time. Hooray! 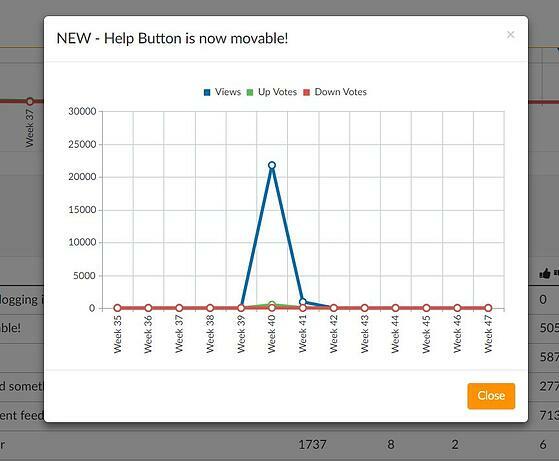 In addition to the large graph showing the views and votes for all the help items for a period of time, you can also view the graph for an individual help item by clicking on the name of the item. Help item comments are now contained in a separate column. Note: You may notice that the numbers in the Views column are higher than they were before. This is because this column now reflects actual number of views instead of unique user views. However, we will be adding the unique user views column in the near future so you can have both sets of numbers. The latest producer version includes a few bug fixes for context creation in the Support Center and handling of some new foreign languages. Please download the latest version using the button below if you have not already.